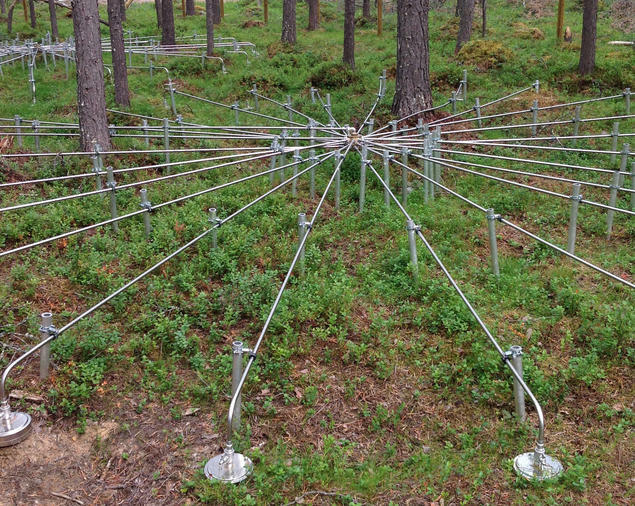 Data from NORSAR’s infrasound station in Bardufoss, in the north of Norway, can be used for monitoring the dynamics of the middle atmosphere, which can affect the weather and climate we experience here on the ground. The scientific work is part of the EU research project ARISE2, with a three-year span, finishing in 2018. The ARISE-programme connects several international networks of terrestrial monitoring technologies, including infrasound, lidar, airglow, satellites, and radars. Each technology contributes to models for weather forecasting by delivering advanced sets of data. NORSAR is leading a work package addressing the integration and inter-comparison of measurement technologies with a focus on high latitudes. - By using several technologies, we are able to compare results and verify each other’s sets of data. 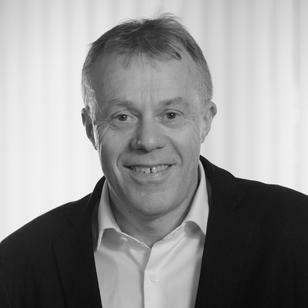 This contributes to a higher level of confidence in the results, says Dr. Tormod Kværna, Head of Research and Development, Department of Seismology and Test-Ban Monitoring. One of the objectives in the research project is to gather data and develop methods and tools for analyzing extreme weather conditions in the atmosphere, but also changes in weather and climate conditions, such as polar lows, magnetic storms, tornados and tropical storms. - Our aim is to better understand the physical processes leading up to different types of weather. Then we will be able to contribute to future civilian warning systems, says Dr. Kværna. NORSAR`s infrasound station is part of the global network of 321 monitoring stations detecting infrasound in the atmosphere, seismic waves in the underground, hydro acoustic waves in the oceans, and radioactive particles and radioactive noble gas in the air. These stations were built to verify compliance with the Comprehensive Nuclear-Test-Ban Treaty. Now the infrasound station in Bardufoss may get yet another task. - Our infrasound station is among the world`s best, and therefore we are privileged to be able to use it for several purposes. As part of the ARISE2 project the research will show if data from the station can be used for early detection of volcanic eruptions. This kind of information is vital to commercial aviation, says Dr. Kværna. ARISE2, Atmospheric dynamics Research InfraStructure in Europe, (2015-2018) is a research infrastructure study financed by the EU programme Horizon2020. Norwegian partners: NORSAR, NTNU and Andøya Space Center. 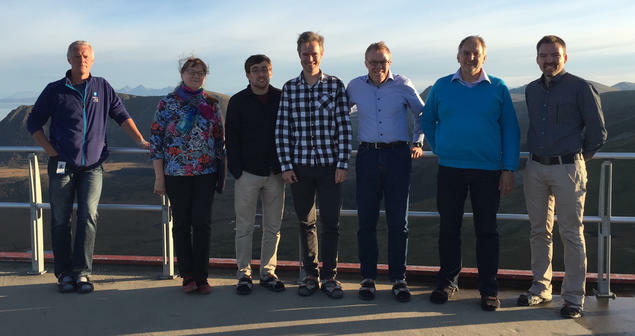 Kick off meeting for ARISE2 at Andøya Space Center: (from the left.) Kolbjørn Blix Dahle (ASC), Evgenia Belova (IRF, Sweden), Jens Hildebrand (IAP, Germany), Sven Peter Näsholm (NORSAR), Tormod Kværna (NORSAR) Michael Gausa (ASC), Johan Kero (IRF, Sweden). Patrick Espy fra NTNU and Elisabeth Blanc (leader of ARISE2 from CEA, France) was also participating. Photo: NORSAR.